KUALA LUMPUR: Naza Kia Malaysia, the official distributor for Kia vehicles in Malaysia, today unveiled the new GT-Line variant of their best-selling compact car, Picanto, for the Malaysian market. 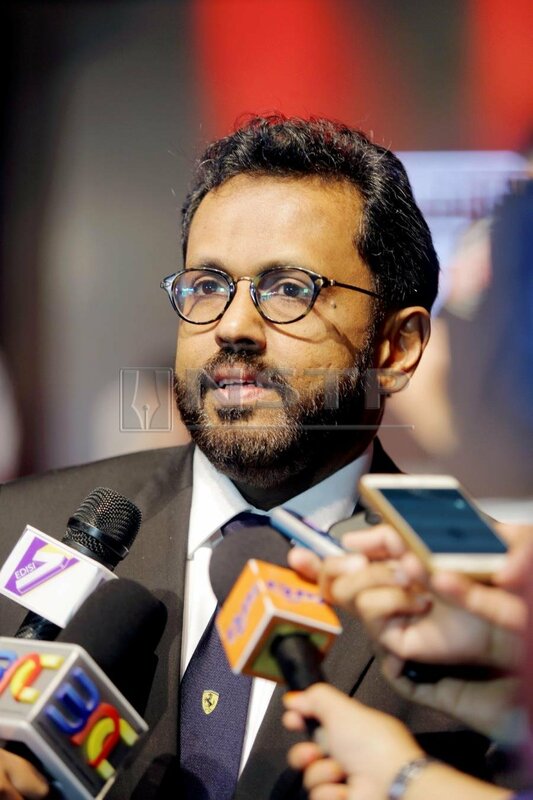 Naza Corporation Holdings group chief executive officer (automotive group), Datuk Samson Anand George said the company decided to introduce the sporty variant of the car following the successful launch of the Kia Picanto 1.2 EX model last year. In a statement today, he said the Picanto GT-Line boasted new features including new colour accents on the full body kit, Kia’s signature “tiger nose” grille, dual exhaust pipes, 16-inch alloy wheels, LED daytime running lights and fog lamps, shark-fin antenna and keyless entry. It is also equipped with safety features such as advanced high strength steel body construction and six standard airbags – dual front, side and curtain airbags. The model also includes active safety features such as standard-fit vehicle stability management with electronic stability control to ensure stability during braking and cornering, autonomous emergency braking and hill-start assist control which prevents rolling back while on a slope when the brakes are released. Available in Titanium Silver, Clear White and Aurora Black Pearl colours, the Picanto GT-Line is priced from RM57,888 (on-the-road, without insurance), including five years warranty with unlimited mileage.